Medical information sciences are emerging as a vital field of study and practice. The subsequent explosion of data-- in administration, research, diagnosis, and treatment--along with the associated costs of maintenance, have become overwhelming. The volume brings together scholars and practitioners from disciplines concerned with the acquisition, analysis, accessibility, and application of information in medical practice and health care. 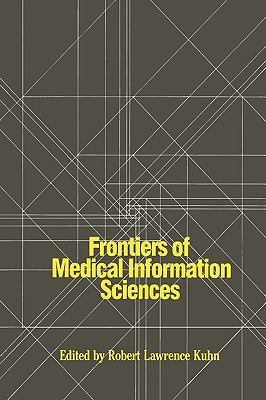 The book is divided into five sections: the first part provides an overview of the field in general; the second deals with the problem of retrieval; the third part examines the control of health costs; the fourth focuses on medical decision support; and the final part considers the future of medical information sciences.Kuhn, Robert L. is the author of 'Frontiers of Medical Information Sciences' with ISBN 9780275927509 and ISBN 0275927504. Loading marketplace prices 72 copies from $54.86 How does the rental process work?